Tools make our lives easier – as humans, we’ve used tools to improve processes since the beginning of time. At BuildBetter, one of our highest priorities is to make dev’s lives easier. We’re developers ourselves, so we know that tools are an absolute necessity to get the job done as efficiently as possible with as few bugs as possible. That’s why we’re presenting to you these Java Tools for Developers. In our most recent BuildBetter issue, we compiled a resource guide for Java developers. Seriously, this guide is HUGE and it contains all things related to Java Devs and their daily digs. This resource guide began as just a tool guide, so it’s only appropriate that our first blog features our development tools in the mag. Java developers need development tools like Oracle’s Java Development Kit to develop and deploy Java applications on desktops, servers, and embedded environments. JDK gives users enterprise-level features that minimize the costs of deployment maintenance of their Java-based IT Environment. ?For? ?new? ?and? ?experienced developers,? ?this? ?tool? ?makes? ?Java? ?incredibly? ?easy.? 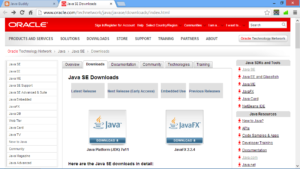 Included in the kit is the Java Runtime Environment, the Java compiler, and the Java APIs. JDK provides the rich user interface, performance, versatility, portability, and security that today’s developers want and need. 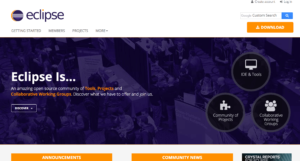 Devs also reap the benefits of the Java SE community, such as opportunities for collaboration and early feedback from developers across the globe. Whether you’re a small startup or a big enterprise and whether you’re building a mobile app or a microservice, Gradle is the productivity tool that helps dev teams build, automate, and deliver software faster. For continuous delivery in Java, C++, Python, or other languages of choice, Gradle allows developer teams to automate everything and deliver faster. Because Gradle’s build scripts are written in Groovy and not XML, it’s oriented toward being used as a language itself. This means that developer teams can integrate their own abstractions or use the ones that Gradle provides. Take it from the development teams at LinkedIn, Netflix, and Android: the flexibility to structure your build, monitor and customize configuration, scale up or down depending on your project, and support multi-project builds are just a few of the features and benefits of using Gradle. The clear leader in Java continuous integration is Jenkins. This flexible plugin system has dominated open source automation for the past five years. 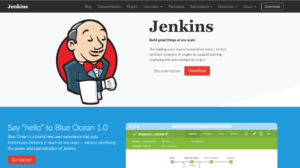 Jenkins can be used as a simple CI server or turned into a continuous delivery hub for any project. Not only is it a self-contained, ready to run program, it can also be easily configured via its web interface, detecting errors on-the-fly and providing built-in support. Hundreds of plugins means that you can essentially integrate any tool with Jenkins while extending its infinite possibilities via its plugin architecture. 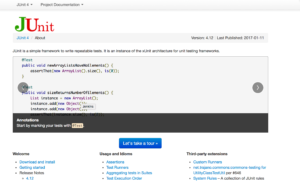 Looking for a unit testing framework that will help you write and run tests? JUnit is the tool for the job. In the world of test-driven development, JUnit promotes the idea of “test first, code later.” It allows programmers to test one block of code at a time rather than waiting for the module to be completed before running a test. This check-as-you-go approach increases programmer productivity and the stability of your program code. JUnit also provides annotations to identify test methods and assertions for testing expected results. Who wouldn’t want to reduce stress and time spent debugging? Its name means “coverage,” and that’s exactly what the Cobertura plugin provides. Cobertura is a free tool that calculates the percentage of code accessed by tests to identify which parts of the Java program are lacking test coverage. While Cobertura is meant to be used with Ant, it also works with the command line and plugins for Maven2 and Eclipse. Tests that use HttpUnit, HtmlUnit, Empirix, and Rational Robot can still be detected by Cobertura. Cobertura’s claim to fame is its “pretty output,” an easy-to-digest report that translates to less time figuring out where to add test coverage. Cobertura’s generated report can also be used to improve efficiency, since an efficient line of code improves the efficiency of an entire application. Name a developer who isn’t interested in Groovy… we’ll wait. Its dynamic runtime nature and powerful static-typing and static compilation capabilities sets Groovy apart from other Java development platforms. Boasting a flat learning curve and concise, easy-to-learn syntax, Groovy is aimed at effortlessly improving developer productivity. Its powerful features includes closures, builders, runtime and compile time meta programming, functional programming, type interference, and static compilation. It integrates with any Java program and immediately delivers its powerful features to your application. Every minute spent in the flow is a good minute. Minutes spent fixing a broken flow? Not so much. You don’t want to spend your precious dev time examining code and making connections, and with IntelliJ IDEA, you don’t have to. IntelliJ IDEA analyzes code and looks for connections across all project files and languages, providing information for in depth coding assistance, quick navigation, clever error analysis, and refactorings. Save time and maximize productivity with IntelliJ IDEA’s editor-centric environment, shortcuts for (nearly) everything, ergonomic user interface, and an inline debugger. Other tools’ code completion features suggest names of classes, methods fields, and keywords. IntelliJ IDEA suggests only those types that are expected in the current context. What’s not to love? Appreciate this blog? Well we can guarantee you’ll love our Java Developer’s Guide. You’ll get to read more about app performance tools, errors and log tools, web extension tools, and messaging distribution tools PLUS books, websites and blogs, Youtube channels, Twitter influencers, podcasts, events, and LinkedIn groups and influencers for Java Developers. Even if developing in Java isn’t in your wheelhouse, many of the tools and resources we’ve listed support multiple languages, so you’re bound to find something you can use – no matter what technology you’re developing in.